Congratuations to Ireland’s Peter Wilson who, with his team of Murray McWilliam, Lauren Morgan and Margaret MacAuley, made it to the final of the Dalrymple Cup at Stranraer Ice Rink. Peter and his team, who qualified for the ‘final weekend’ as the runners-up in the ICA Stranraer weekend, were beaten in the final by Robert Clark, Gail Thomson, Murray Stevenson and Cat Eccles. 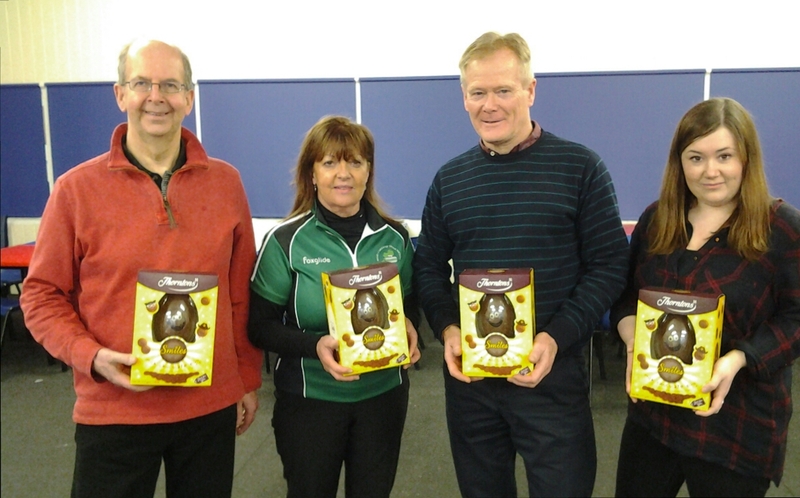 Ironically, both teams came out of the same section, with Robert Clark only making the quarter-finals after his name was drawn out of the hat containing the seven section runners-up! Pete topped the section, of course. 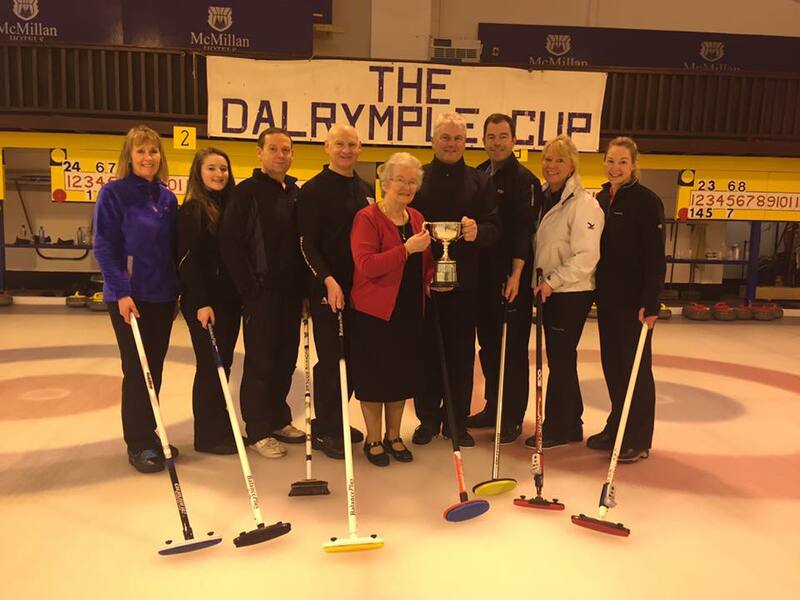 Other ICA curlers taking part in the Dalrymple Cup were PJ Wilson, Johnjo Kenny, Gillian Russell, Tony and Charlotte Tierney, Ross and Alison Barr, Fiona Turnbull and Louise Kerr. 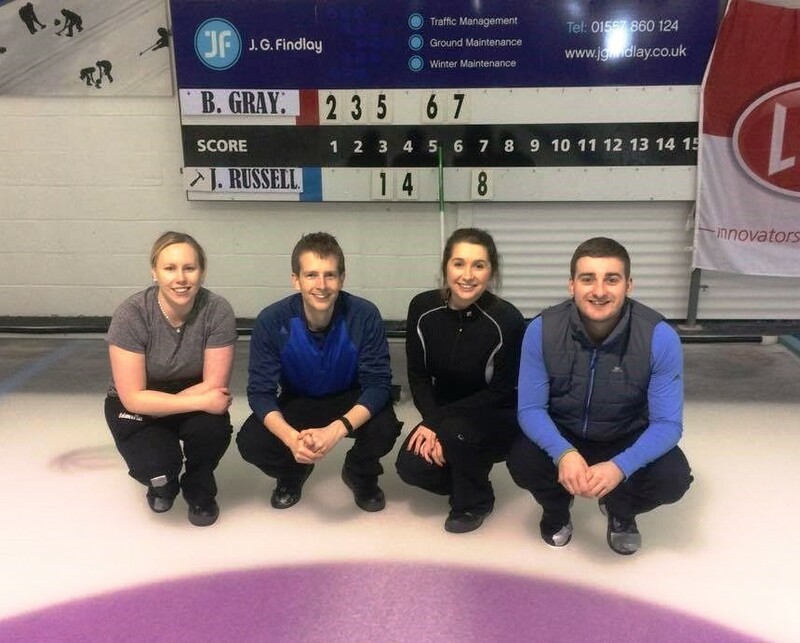 James Russell, Alison Fyfe, Craig Whyte and Ailsa Anderson are the Irish Mixed Champions for 2016 after beating Bill Gray, Margarita Sweeney-Baird, Ross Barr and Jacqui Barr 8-7 this afternoon. The title was sealed by a big three for Team Russell in the last end. 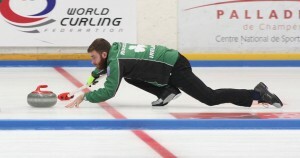 This second win meant that the Russell quartet went undefeated throughout the three-team competition, so there was no need for a final game. The team with their medals. 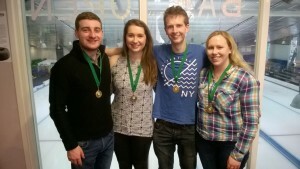 Well done to the new champions! 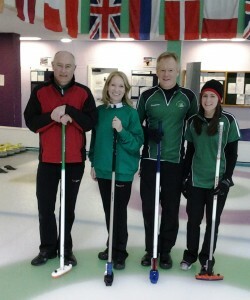 In this morning’s game James Russell’s team beat Bill’s foursome 7-4. 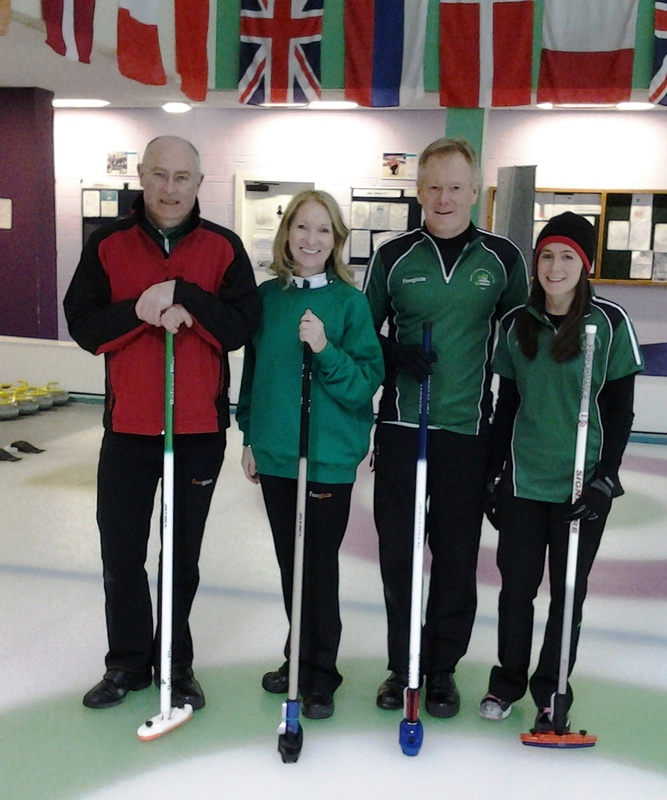 There were two games in the Irish mixed championships last night. The 5pm game went to the team of Bill Gray, Margarita Sweeney-Baird, Ross Barr and Jacqui Barr 6-5 over Johnjo Kenny, Louise Kerr, David Whyte and Jen Ward. At 8.30pm James Russell, Alison Fyfe, Craig Whyte and Ailsa Anderson stole two in the last end to get the better of Johnjo and Co. 7-5. 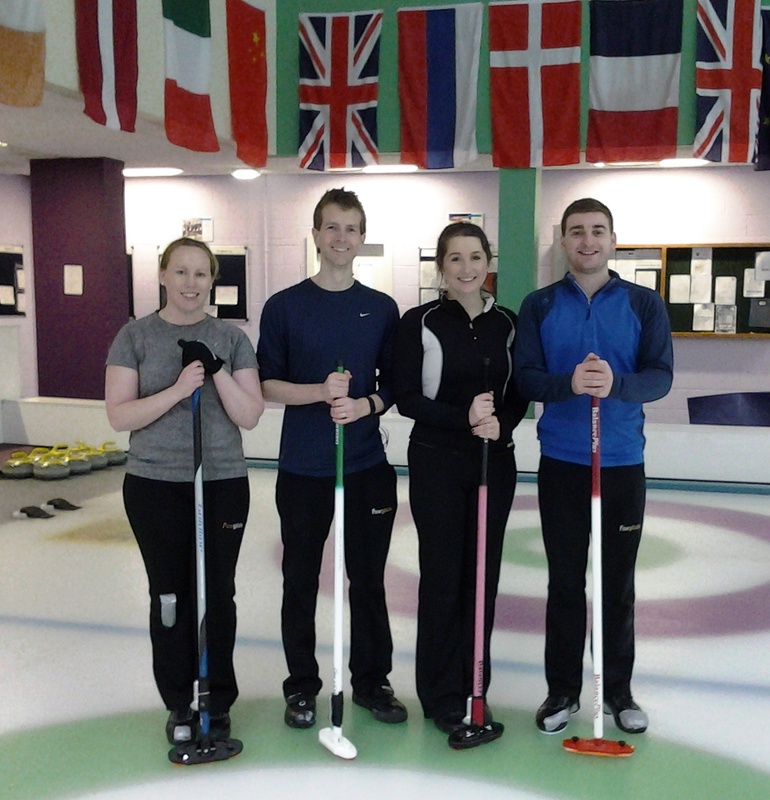 That means the two winning teams now face each other today in a best of three decider. David, Marie, Ross and Jen. 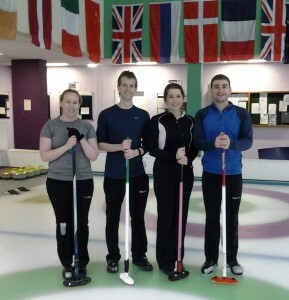 David Whyte and his rink of Marie O’Kane, Ross Barr and Jen Ward won the ICA closing bonspiel at Hamilton yesterday afternoon. 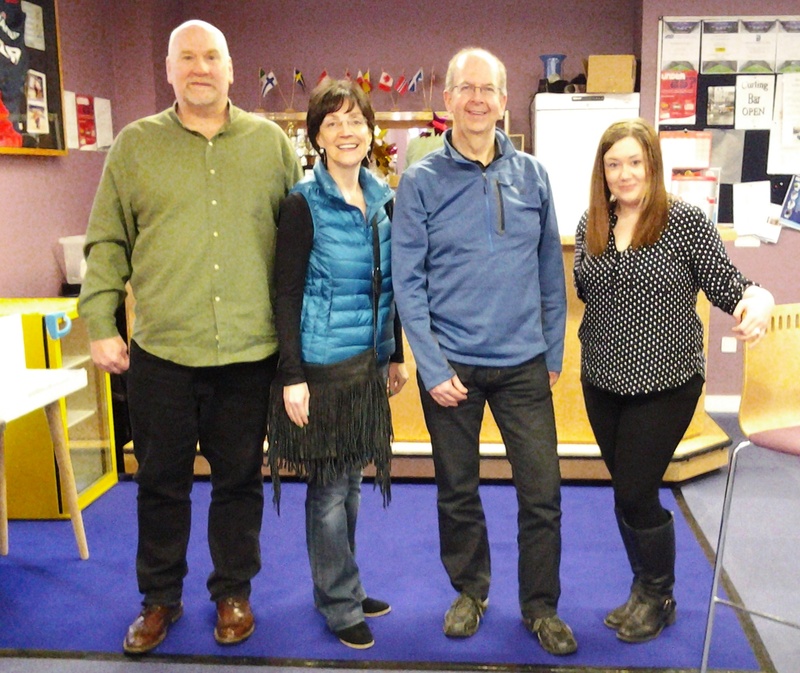 At the AGM after the game, Johnjo Kenny and PJ Wilson came off the committee, Carolyn Hibberd and Craig Whyte remain on the committee and coming onto the committee were Jen Ward, Eoin McCrossan, Arran Cameron and Robin Gray. John Gilmore and John Wilson were accepted as new members.